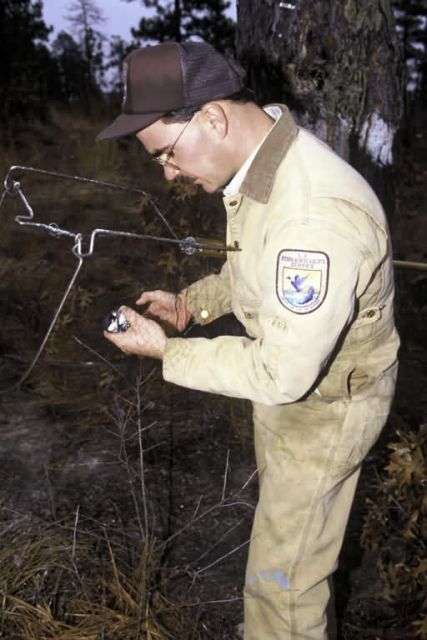 A FWS biologist tags a Red-cockaded woodpecker. These woodpeckers are endangered because open forests with big, old pine trees have been replaced by forests with younger, smaller pines. Periodic natural fires needed to control the brushy understory and keep the pinewoods open, have been suppressed since settlement.